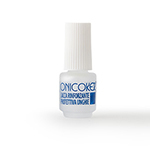 Local treatment that can promote fingernail hydration and strengthening, thanks to Urea, Mandelic Acid Millet Oil extract and its high Silicon content. In addition, the presence of Chitosan allows the product to leave an invisible protective layer on the nail plate and cuticle. Water-soluble, quick drying.